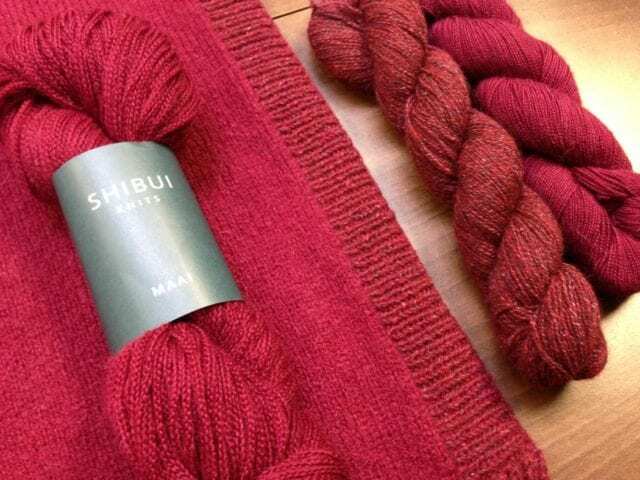 Shibui Sample of the Month: Trace. December is here, and with it, a new Shibui Sample of the Month! 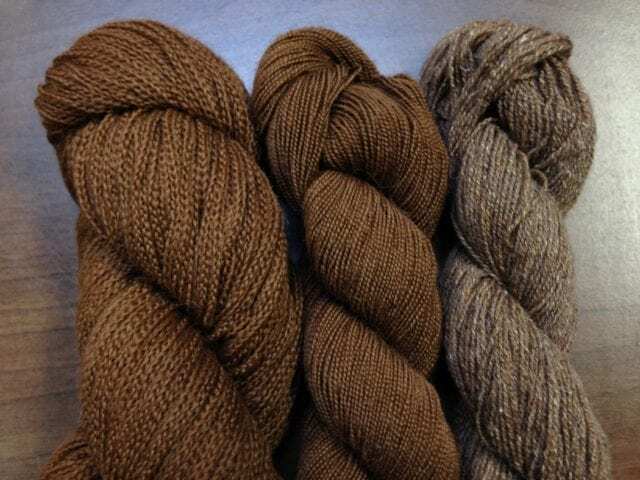 We offer a 10% discount on Shibui yarns purchased for our featured sample til the end of the month. 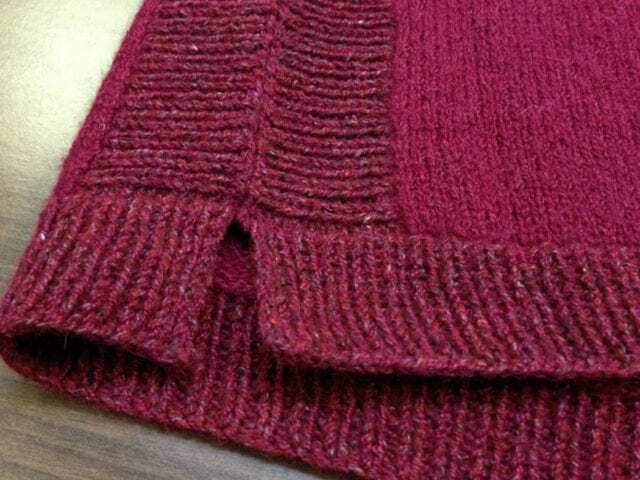 Our current Shibui Sample of the Month is “Trace,” by Shellie Anderson, a simple stockinette pullover framed by ribbing along the sides and bottom edge. 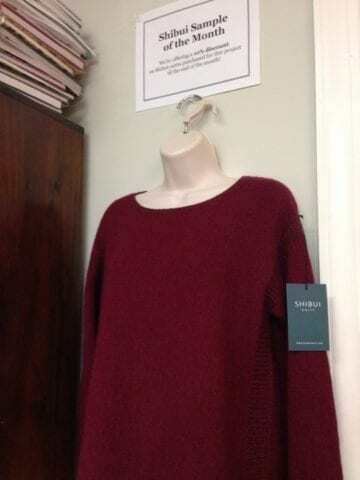 The main body of the sweater is knit with Shibui Maai, a soft blend of merino and alpaca plied into a springy chainette. 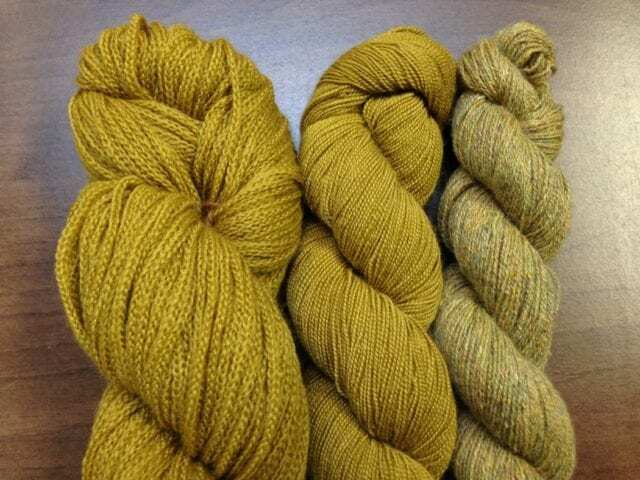 The ribbed details are knit with Shibui Pebble and Cima held together throughout, with tweedy Pebble providing a slight contrast even in a matching colorway; here are sets of all three yarns in “Trail” and “Pollen” to illustrate. 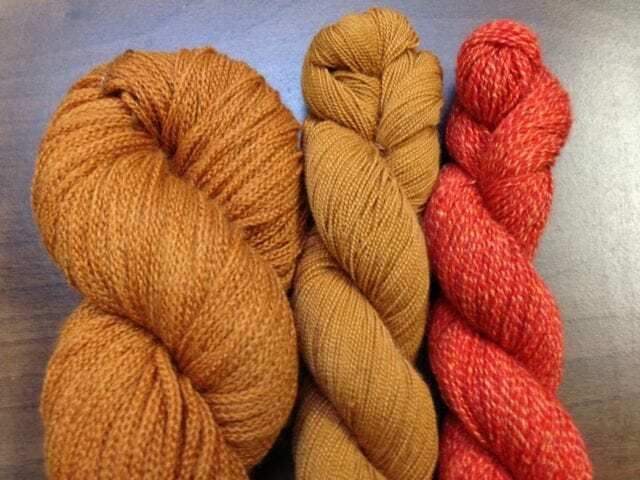 We’re offering a 10% discount on Maai, Cima, and Pebble purchased for this project til the end of the month, so come by the shop to see it before December 31st!